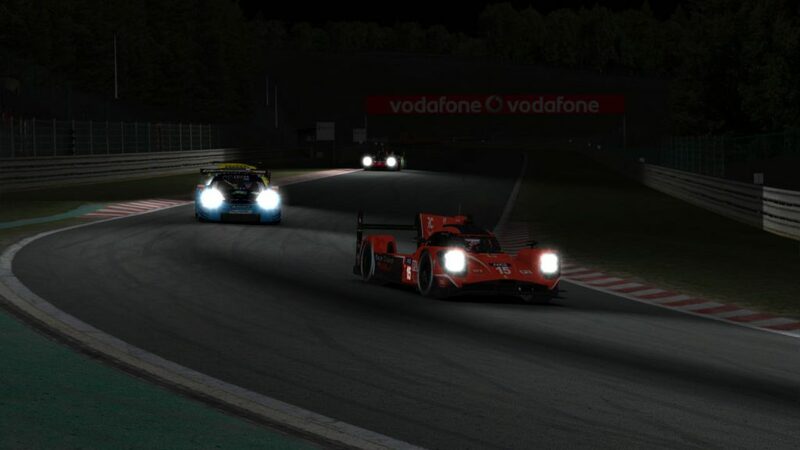 The NEO Endurance Series’ first ever race into true nighttime conditions wouldn’t have been complete without a few fireworks, and those came courtesy of the two prototype classes and a pair of thrilling battles for victory that came down to the closing laps. In the P1 class, the undefeated Thrustmaster Mivano Racing #3 team entered the race as heavy favorites, but they received a race-long challenge from a potentially surprising opponent. Although they didn’t have a podium finish yet this season, Race Clutch came into Spa with something to prove, and they did that by leading a race-high 115 laps. NEO veteran Balazs Remenyik emerged from Race Clutch’s final pit stop with a 16-second lead, but Mivano’s Marcus Hamilton was charging, at times taking two seconds per lap out of that gap. Race Clutch moves past the GT third-place battle in the closing laps. The final laps saw some daring moves through traffic — including one pass on the runoff by Mivano that could incur a post-race time penalty — but Race Clutch managed to stay out front and earn its first NEO win. 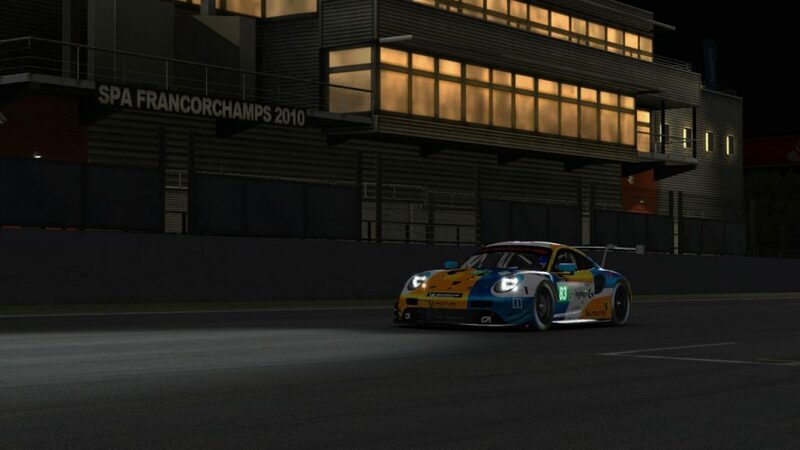 Mivano was second and Porsche Basel by Sorg Rennsport eSports finished one lap behind in third, which was enough to keep them second in points. Not to be outdone, the P2 class also saw a tight battle in the final half-hour in which the top two teams were rarely separated by more than two seconds. 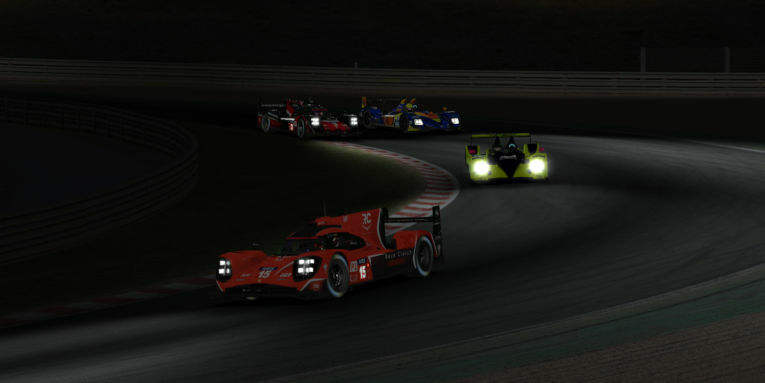 The polesitters from Torque Freak Racing looked to close out their first victory of the season, while their challengers from AVA Vervatic were on the comeback trail after a mid-race penalty that stemmed from contact while scrapping with UI1-Positive SimRacing. AVA’s Sven Neumann was flying, and with 14 minutes to go, an opportunity emerged. Torque Freak’s Ronny Nunez lost his momentum following a GT car up the hill to Raidillon, and Neumann took advantage, completing the pass down the Kemmel Straight. AVA Vervatic passes Torque Freak for the win in the final 15 minutes. 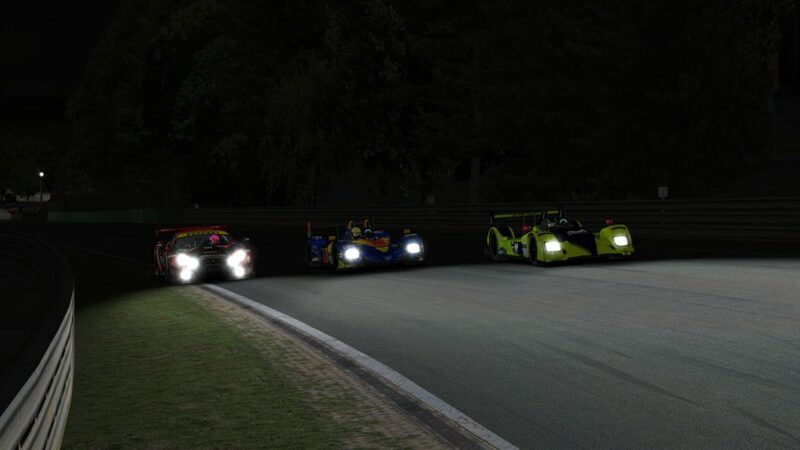 Their fight remained close in the final minutes, including as the P1 leaders wove through on the last lap. However, AVA was able to hold on and score its fourth victory of the season. For Torque Freak, it’s the second time in the past three races in which they’ve been passed in the late stages by the eventual class winner. UI1-Positive SimRacing rounded out the P2 podium. The front of the GT field didn’t have such drama, and that’s because for the second race in a row, the outcome was rarely in doubt from the drop of the green flag. Another stellar showing by Logitech G Altus Esports’ Simone Maria Marcenò and Yannick Lapchin was rewarded with their team’s third win this season. Yannick Lapchin crosses the line to take Altus’s third NEO victory. MSI eSports earned its second straight runner-up result and its fourth consecutive podium to add a few points to its championship lead. The Williams JIM Esports #97 team made a final-lap pass over TRITON Racing for third place, although officials noted they would investigate an incident between those two cars after the race. It was a light race for penalties compared to recent, with only 11 issued for causing a collision. In addition, just four teams incurred penalties for excessive off-tracks, defying pre-race predictions for widespread abuses throughout the field. In this race, the drama was squarely on-track instead of off, and that ensured NEO’s first drive into the night was far from a snoozer.